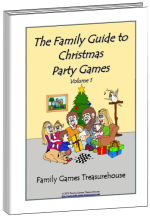 Card games have been a favourite family pastime for hundreds of years. 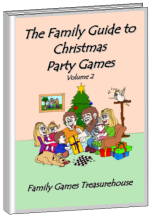 Family card games are great to pull out on those rainy, wintry days. 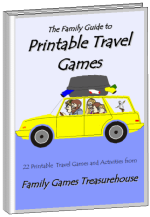 We find them very convenient to take away on vacations or camping. They certainly don't take up much room in the car. One pack of normal playing cards can be used to play hundreds of different games. What a bargain! Even special packs of cards (such as UNO™) are compact and quite cheap. The earliest historical records of card games extend back to ninth century China which quickly spread throughout Asia within two hundred years. By the 14th century they had become popular in Europe, with hand drawn cards that only the nobility could afford. France invented the four suits (hearts, clubs, diamonds and spades) around 1480, while in the late 1800s America is credited with adding the Joker and the rounded corners and index pips that are part of modern card decks. We have included lots of the old favourites that families enjoy (such as Snap and Rummy) plus some that may be quite new to you (like Up the Creek Without a Paddle). 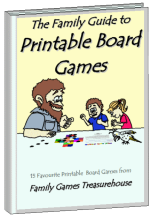 There are card games specifically suited to children as well as games for the whole family to enjoy together and even some games to play on your own. 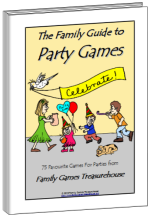 If you are confused about any card game terms, you can open our Glossary of Family Card Game Terms in a new window.